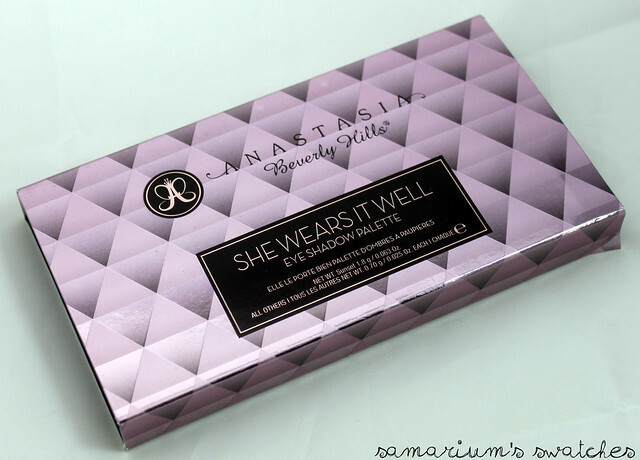 Anastasia She Wears It Well Palette Review & Swatches. Hey guys! 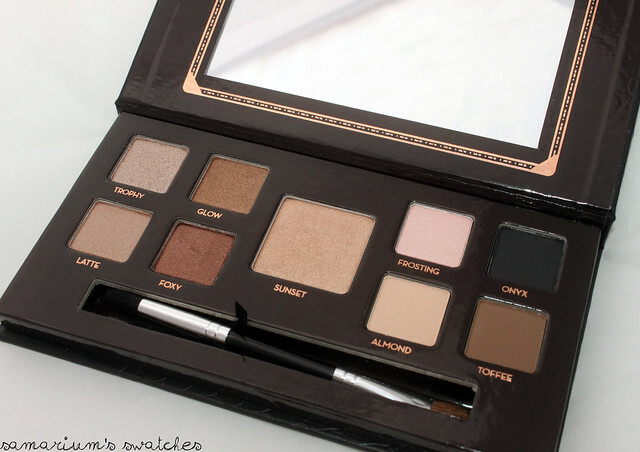 Today I have a really wonderful neutral eye palette to show you guys! 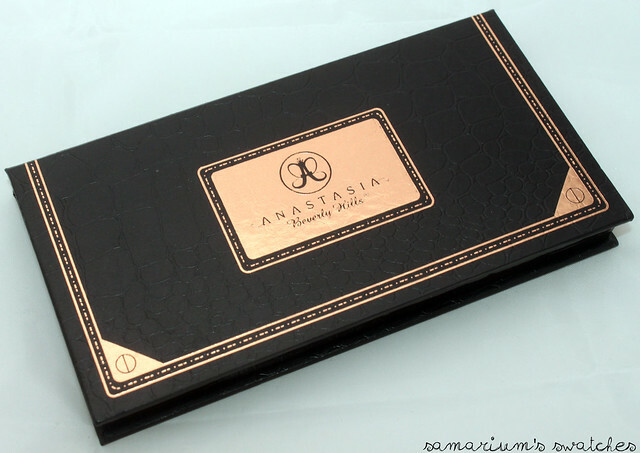 The Anastasia She Wears It Well Palette is a great palette option for those wanting to get a neutral eye palette without breaking the bank! 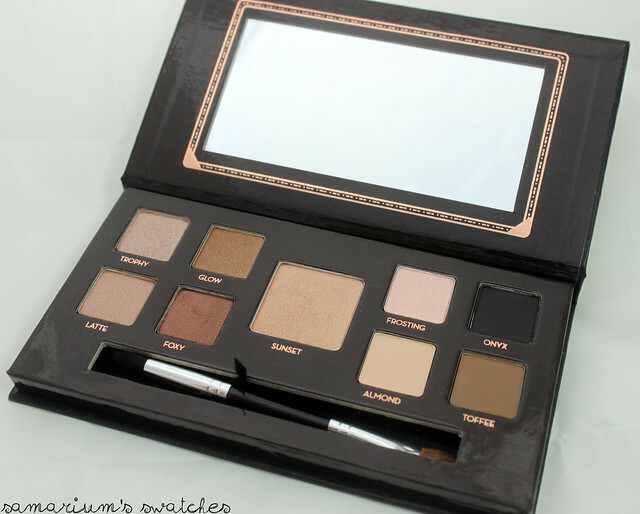 It costs less than the Urban Decay Naked palettes, & Too Faced Naked and Natural eye sets. Here are a few notes about it! 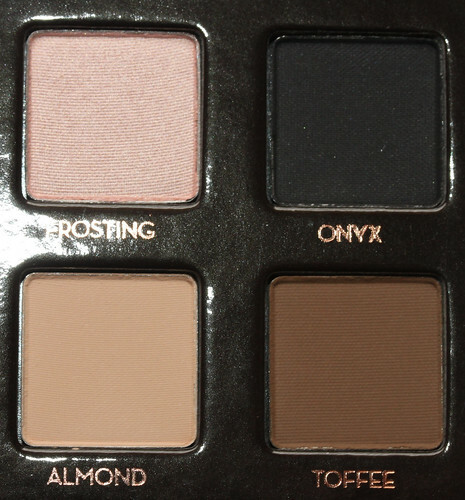 The palette has 9 eye shadow shades. 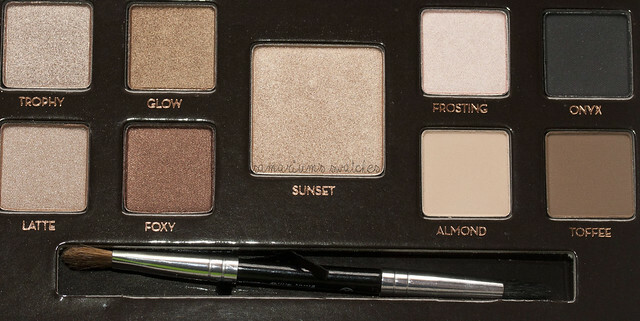 Including mattes & shimmers. 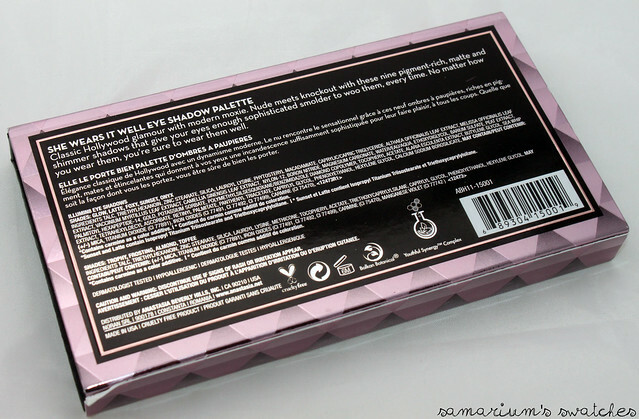 You can use these shadows Wet or Dry! It comes with a small double ended brush. The Illumin8 formula featuring Youthful Synergy Complex is clinically proven to illuminate, firm and hydrate skin. All shadows swatched dry over UDPP L-R: Trophy, Glow, Latte, Foxy & Sunset. 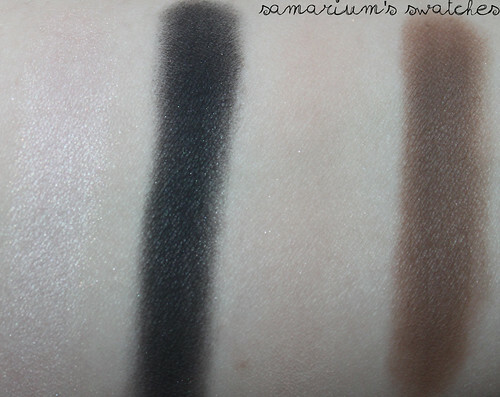 All shadows swatched dry over UDPP L-R: Frosting, Onyx, Almond, & Toffee. I really love this palette and the shadows included. (With one exception. )The Packaging is cute but still classy, and a wonderful size to have in your purse.The only shade that I'm not very fond of is Almond.I just could not get it to show up no matter what I did. Probably due to my skin tone though. As you can see, it is basically a perfect match for my skin. But It will be a great matte high light color! 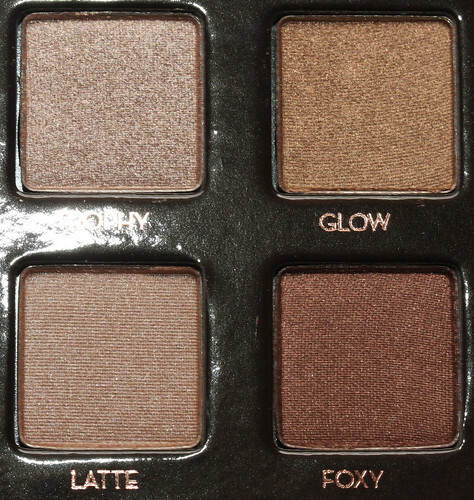 My favorites are Latte, Foxy, and Toffee. But they are all really great!I thought I would be very disappointed in the brush..Generally palette brushes aren't wonderful quality.And this one isn't amazing quality either but It is wonderful for small areas like my upper and lower lash lines and my inner corner. I have actually been reaching for it way more than I expected! I get just as well wear time as I do with my Urban Decay shadows, and at the end of the day I have no creasing. 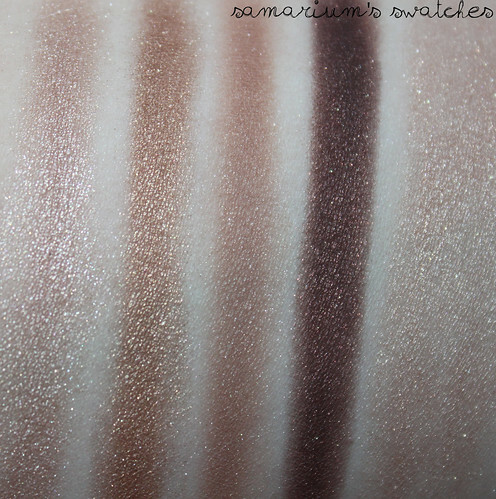 The shadows are soft and easy to blend but have staying power! You can purchase it from Anastasia, Sephora, and Nordstrom. 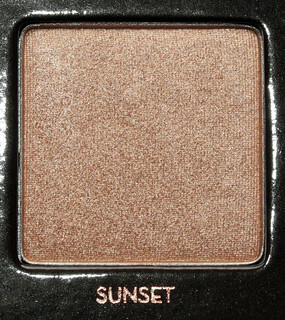 All of the eye shadows (with the exception of Sunset) are 0.025 oz. Sunset is 0.063 oz. But if you want this Palette HURRY!! It is only available for THREE more weeks! Just 3! So don't hesitate or think about it too long! If you have any questions, concerns or requests please let me know in the comments! Lilacquer Polishes Fifth Element Collection Swatches & Review! Hey guys!! I have a pretty new (to me anyway!) indie brand to show you today! First I have to start off by saying I LOVE this movie! I think it is an amazing movie for polish inspiration! This post will be a bit picture heavy, but I did my best to narrow it. Also if you could please forgive my cuticles! They are very dry and unruly lately. I am coming off of my Synthroid for my Hashimoto's and my skin is severely suffering from it. Okay-enough of the chit chat! From L-R: To Protect Love, Leeloo Multipass, Roo-Bee Rhod!, Fhlostan Paradise, Supreme Being, The Diva Plavalaguna, Super Green, & Zorg industries! 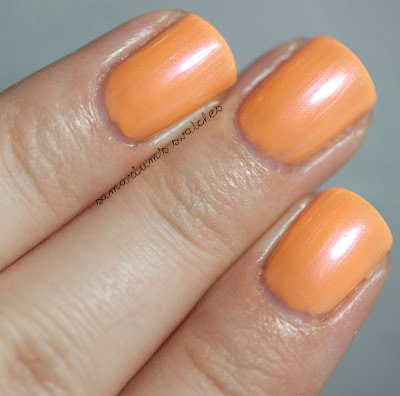 To Protect Love-Peach jelly with lime green shimmer. The formula on this polish was a little thick. Not stringy or bad thick, but with a drop of thinner it could be even easier to work with. Three coats for full opacity. I used four in these photos because I'm a dork and I dinged one. I love the shimmer in this polish. So unexpected color-wise very unique. 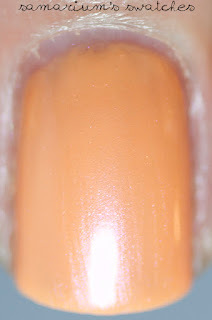 Leeloo Multipass-Orange jelly with pink shimmer. Man what a pain for me to capture color wise! My mind instantly thought of creamsicles & sherbet! A really beautiful color. The shimmer is much more noticeable in person. Three coats for full opacity. Roo-bee Rhod!-A pinky coppery burnt orange with a slight green shift. Such a cool shade! It looked much better with my skin tone than I expected it to! I actually really love this. I used three thin coats, but I really think if you did them a bit thicker you could get away with two. Fhlostan Paradise-a gorgeous magenta pink with silver shimmer/sheen. The formula was a little thicker but not so much as To Protect Love. It was easy to apply. Two coats for full opacity. Supreme Being-Cornflower blue with pink shimmer and a slight pink duochrome. 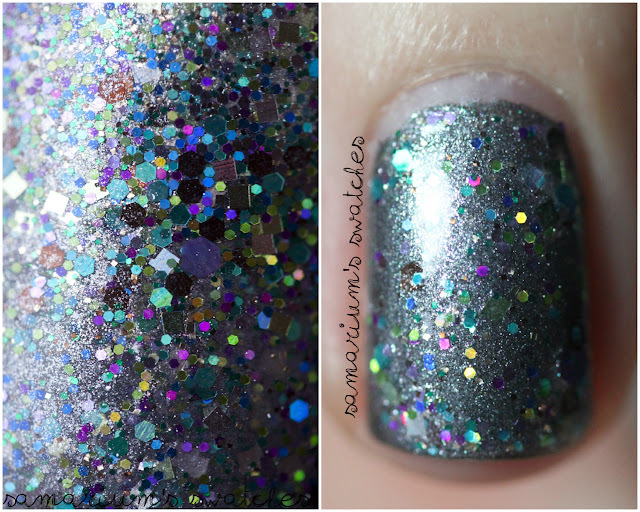 The shimmer in Supreme Being is just gorgeous! I really love this. The formula was perfect and it required two coats for full opacity. The Diva Plavalaguna-Dark teal with green duo. This just might be my favorite! The pictures don't do it justice. Just a stunner to me. The duo effect didn't pick up well int he photos but is much more noticeable in person. Three coats, great formula- BUY IT! Super Green-Almost metallic acid green with the *slightest* orange duo. Again this does NOT do justice! Another pick of mine. I wore it for days and stared at my nails a lot! Simple but so eye catching. Three coats for full opacity. Amazing formula, it glided on effortlessly. Zorg Industries-a murky gray jelly with a subtle green to blue shift. This color is very cool, I really like it but I wish it looked better on me. Three coats for full opacity. So worth it. Okay I know what you are thinking-So many coats! BUT before you go off and click to close this window these are meant to be Duochrome TOPCOATS. I swatched them alone. So really keep that in mind! Personally I like them on their own, but since I have mini's I will be layering these so I don't want to use more than I need to! When you purchase them you get full sized bottles, the mini's were for review purposes only. The results of the wear test I did were amazing. And I want you to know that I had no intention of doing the wear test the was I ended up doing it. I was wearing The Diva Plavaguna for swatches. I didn't even use basecoat before hand, I just loved it too much to take it off! I applied topcoat (SV) the day I applied the polish and not again afterwards to see how it would do! It lasted FIVE yes 5 days before I got a small chip on the corner of my ring finger nail. I was SO impressed, I mean five days with zero basecoat? Plus no smurf stains! Really surpassed my expectations. Very good formulas! With the exception of To Protect Love being a bit tricky. It's pretty important for the coats to dry fully in between, especially with the thicker formulas. If you are impatient and apply the next coat before the other is completely dry it could cause some pulling. But they do dry pretty fast. Some are a bit brushstrokey. Nothing bothersome to me but I know some people hate that! They are labeled duo chromes, I'm not sure I would agree that they all are. But they are all gorgeous. I hope that this was helpful for you all! And if these aren't your bag still check out what Lilacquer has to offer! She has other polishes out that are gorgeous! I am especially in love with her new Science collection! 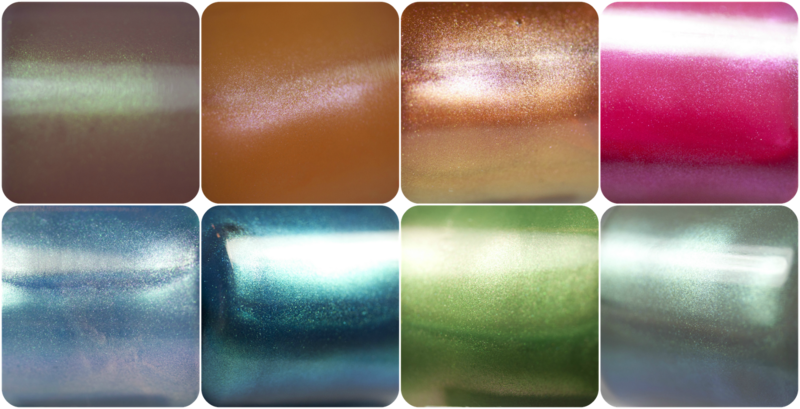 Lilacquers are full size 15mL bottles and sell for $9.00 each. Visit her Etsy shop HERE, and find her on Facebook HERE! P.S.-A note for my fellow Whovians! Be prepared for some nail art next week! 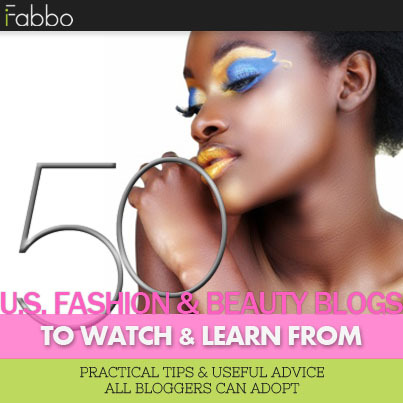 I am very proud of it and I know that the blog has been lacking it lately :) Keep an eye out! I have emailed the winners! Please get back to me in 48 hours! 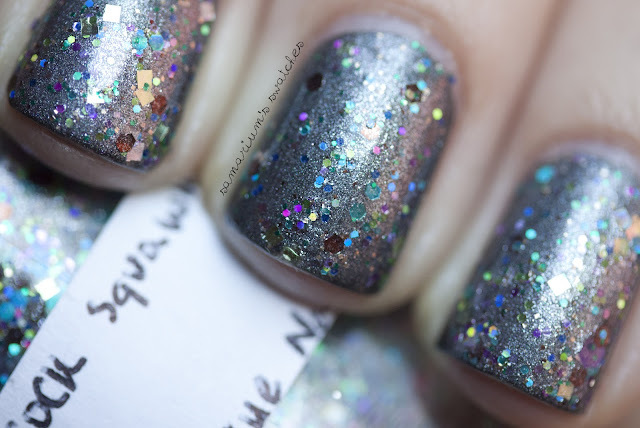 Naild'it Peacock Squawk Swatches & Review! Happy Wednesday! Today I have a brand new Naild'it Polish to show you! This polish is Peacock Squawk from The Farmland Collection! Naild'it is a new Indie brand to me, but can I just say WOW! I think I want every single polish that Andrea makes! I am seriously hooked! I hope that she NEVER stops making polish!! Peacock Squawk is too crazy and awesome for me to describe in words. But here is the quote from Naild'it describing this polish. "This polish has a slight shimmer base and is loaded with a variety of glitters blues, purples, greens, and others in various shapes and sizes"
For the photos below I used one coat of Peacock Squawk over two coats of Manglaze-Fuggen Ugly. Here is Peacock Squawk over some other polishes! I used one coat of Peacock Squawk over the following polishes. Illamasqua-Scorn, Illamasqua-Poke, China Glaze-Turned up Turquoise, & Cult Nails-My Kind of Cool Aid. I really Really recommend this polish, and the rest of hers I have tried are amazing as well! This is a tad thick, I might add a drop or two of polish thinner but it applied very easily. It seemed very opaque on it's own at three coats. Make sure you have adamant time between coats. I rushed and smudged mine before they were fully dry. To stay updated Like the Naild'it Facebook and check the Etsy frequently! Her polishes are (0.5 oz. / 15ml) and sell for $8.50. She ships internationally now too! Shipping is a bit steep-but I think they are worth it! Hope you guys enjoyed this polish as much as me! Paint Box Polish Swatches and Review!